A pop up supper club in different venues for people who love tasty vegetarian food and want a bit more variety than is usually on offer in Taunton's restaurants. An informal dining experience to meet new people and eat delicious food! Can cater small-scale private dinner parties and occasions. Pyramid Catering provides, ethically sourced vegan outdoor catering. We are a small independent business based in Somerset and we cater for a range of events from music festivals and green fayres to corporate hospitality and private functions. Pyramid Catering promotes the use of Vegan, Fairtrade, Organic and Local Produce. Our Pyramid kitchens are unique, designed & built by ourselves, with a fully equipped kitchen, they grace any event, day or night. We also have a great looking Vegan Street Food Van! If you want a healthy, home-cooked, fresh vegan meal filled with nutrients, then we are an option for you. Our meals are made from scratch, to order, by chefs with the freshest ingredients…. and they are never frozen. Contact us for details about private catering. Epic Vegan Street Food from a Vintage Converted Horse Trailer! 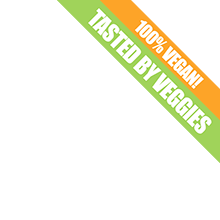 Epic Veg Kitchen specialise in a range of fully loaded, insanely tasty, plant based burgers. Most of the menu is available gluten free and all of the food is served in environmentally conscious packaging. My ethos is to supply mouthwateringly awesome foods for the hungry but ever conscious public, which is free from animal products so kinder to the health of the planet, ourselves and the animals. The focus is on taste and texture for a satisfying and rewarding culinary experience! Burgers are my main offering in the trailer but I also have varying menus available which can be tailored to your needs. I am available for weddings, music festivals, vegan festivals, activism events, and private hire. 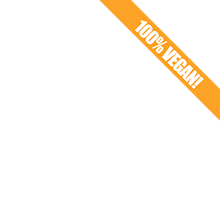 Its a fully vegan venture, and I will be donating 15% of my profits to support farm animals sanctuaries and Viva animal rights campaigns.